IHH Healthcare will first buy around 25 per cent in FHL through a mix of direct acquisition and preferential allotment, which cost around Rs 2,200-2,400 crore. 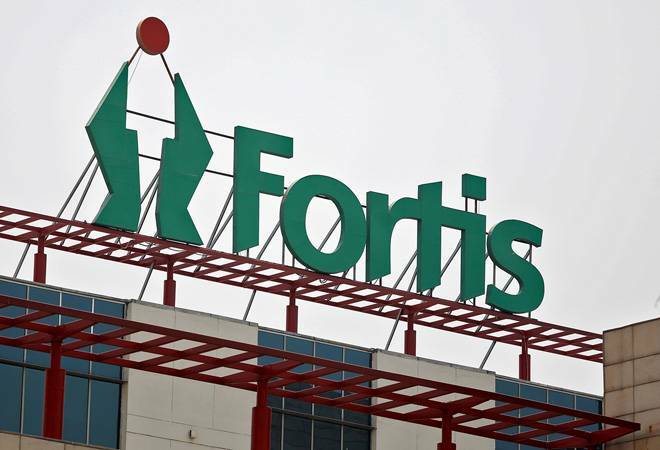 In its second round of bidding, cash-strapped Fortis Healthcare (FHL) received only two binding bids, from Malaysia's IHH Healthcare Berhad and TPG-backed Manipal Health Enterprises Ltd. And the buzz is that the former has an edge over FHL's earliest suitor. According to Mint, IHH is likely to acquire control of India's second-largest private hospital chain with a binding offer for a stake of at least 51 per cent for Rs 4,700-5,400 crore. Citing sources, the report added that the IHH bid not only provides a higher per share offer for the promoters but also offers to buy out FHL's non-promoter shareholders at a 10-15 per cent premium to the agreed purchase price. IHH Healthcare will first buy around 25 per cent in FHL through a mix of direct acquisition and preferential allotment, which cost around Rs 2,200-2,400 crore. IHH will then make an open offer to buy at least an additional 26 per cent, which will involve an investment of about Rs 2,500-3,000 crore, according to the latest offer. "The IHH Healthcare offer is higher than Manipal's offer. But above all, IHH has agreed to make an open offer at a premium to the average market price (weighted average market price for 60 trading days preceding the announcement) as well as the price offered to the promoters," said a source, adding that the "plan given by IHH Healthcare for acquisition of RHT Health Trust [a Singapore-listed business trust that owns some of Fortis's assets] is somewhat better than Manipal's offer". In comparison, TPG-Manipal has reportedly offered to infuse Rs 2,100 crore in cash into FHL, which will be used to buy out RHT Holdings, valued at Rs 4,600 crore. According to the daily, by keeping FHL's 29 per cent stake in RHT and a debt of around Rs 1,000 crore on its books, RHT's actual valuation comes to around Rs 2,200-2,500 crore. "TPG-Manipal will pay cash and borrow a bit of money to clear RHT," said another source in the know, adding that "it also plans to buy out Fortis unit SRL Diagnostics's PE investors for Rs 1,113.4 crore". Furthermore, TPG-Manipal is reportedly in talks with a couple of large pension funds to give an exit to some of the existing institutional shareholders such as East Bridge, and Yes Bank. The combine's earlier offer valued FHL at Rs 9,403 crore, or at Rs 180 per share. "We believe our bid best addresses the short-term liquidity needs and long-term strategic requirements of Fortis. We look forward to a decision by the Fortis board and will make an announcement if there are any material developments," IHH told the daily. The Malaysian player's aggressive bidding - it has repeatedly sweetened its offer to remain in the running - is understandable since acquiring FHL will allow it to rapidly expand its presence in India, a lucrative healthcare market. Reacting to the news, FHL's shares jumped by nearly 5 per cent to hit a high of 146.45 earlier in the day. But closed the day at Rs 140.80 apiece on the BSE.